The Belmond Grand Hotel Europe in St Petersburg, Russia. Travel asset company Belmond Ltd (formerly known as Orient Express Hotels) could be placed on the market as part of a comprehensive company review detailed yesterday. Belmond’s Board of Directors has engaged Goldman Sachs and J.P. Morgan Securities as financial advisors and legal advisory in Weil, Gotshal & Manges as part of the review, which is designed to explore strategic alternatives to spark positive movement for shareholders. Chairman Roland Hernandez hinted at a potential company sale, saying: “The Board is committed to pursuing a path that is in the best interests of all Belmond shareholders. Accordingly, we are conducting a robust review of the full range of strategic, operational and financial alternatives available to the Company, including a possible sale. Belmond Ltd comprises a portfolio of wholly-owned, part-owned and solely managed luxury hotels, restaurants, trains and river cruise brands, collectively operating on a map spanning 24 countries. 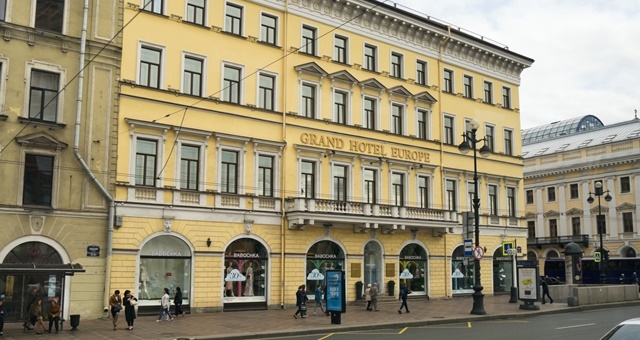 Assets in this portfolio include properties such as Venice’s Hotel Cipriani, Copacabana Palace in Rio de Janeiro, the Grand Hotel Europe in St Petersburg, Russia and the ‘21’ Club restaurant in New York City. “We have made meaningful progress toward our long-term strategic goals, including growing earnings, increasing brand awareness, and expanding our global footprint. We believe that now is the right time to conduct a strategic review process in order to enhance value for shareholders, given Belmond’s truly exceptional and unique collection of iconic owned properties and strong fundamentals in our markets around the world,” Hernandez added. Is new hotel construction in Sydney now moving too fast?